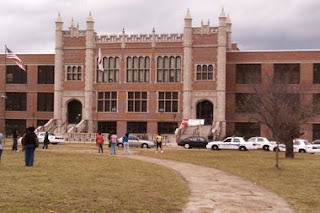 BIRMINGHAM, Ala (WVTM) – A Lockdown at a Birmingham School was lifted earlier today, but the search for two suspects continues. Officials put Woodlawn School on lockdown around 10:30 Tuesday morning, after two burglary suspects ran into the school. Police arrested a third suspect away from the school. The man was armed with a “sawed off” shotgun. Police also say someone called in a bomb threat after the school went on lockdown. Bomb sniffing dogs were deployed to make sure a bomb wasn’t actually inside the school. Hatcher says he’s been at the East Precinct for 18 months and has never seen anything like this before.